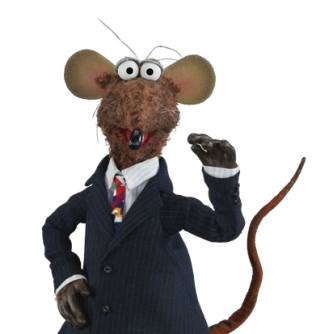 Are hedge fund managers rats? Maybe they should be. An interesting article … and I wonder if its true. If it is … interesting. If it isn’t – its hilarious! The training of laboratory rats to trade in foreign exchange and commodity futures markets. Rats were trained to press a red or green button to give buy or sell signals, after listening to ticker tape movements represented as sounds. If they called the market right they were fed, if they called it wrong they got a small electric shock. Male and female rats performed equally well. The second generation of rattraders, cross-bred from the best performers in the first generation, appeared to have even better performance, although this is a preliminary result, according to the text. OK ForexLive traders – we are going to need a name for this hedge fund … over to you!